The University of M.U.S.C.L.E. and Triclops Studio have partnered to release an exclusive Blood Red color of the Tommy Tanker B.A.S.T.A.R.D. figure. The figures can be Pre-Ordered through the UofM School Store. The figures are currently making their journay across the Atlantic Ocean, which hopefully suggests any pre-orders will be receiving their figures very soon. 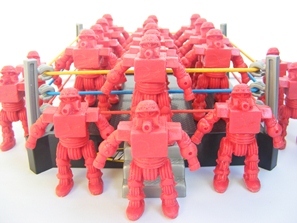 M.U.S.C.L.E. 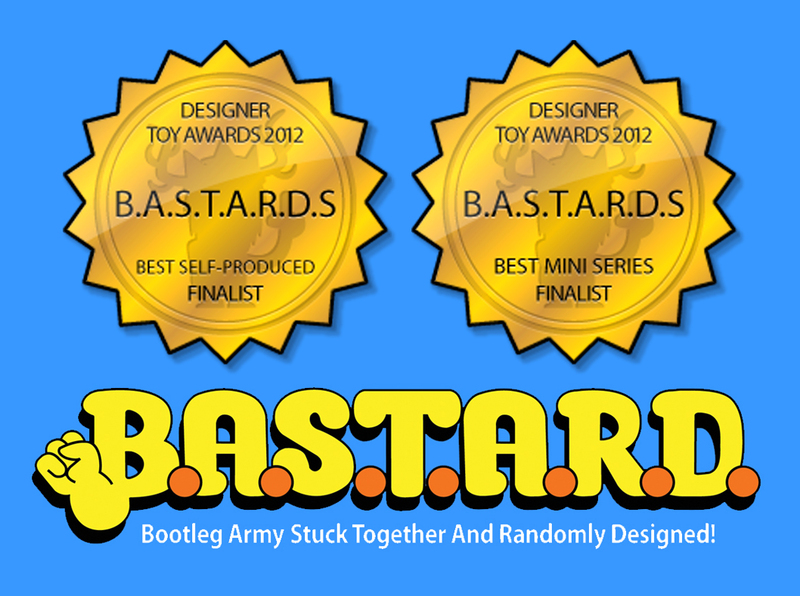 collectors should also note that the Designer Toy Awards recognized the B.A.S.T.A.R.D. figures as finalists for the Best Self-Produced and Best Mini-Series awards. The figures will be sold in the UofM School Store for $10.65 plus $5.35 (USPS Small Flat Rate Box) in the United States. Although cheaper shipping exists, the decision to use the USPS Small Flat Rate Box was driven by two factors: (1) it insures that the figure is fully protected; and (2) it is the easiest method and packaging – which should help orders ship faster. And lastly, a very special thank you to Triclops Studio for creating these amazing exclusive figures for collectors! This entry was posted on Wednesday, September 26th, 2012 and is filed under Art, UofM News. You can follow any responses to this entry through RSS 2.0. You can skip to the end and leave a response. Pinging is currently not allowed.